A girl accused of a vulnerable woman's murder has told jurors she did not think someone could die from being beaten. Angela Wrightson, 39, was found in her blood-spattered Hartlepool home in 2014 with at least 103 injuries. 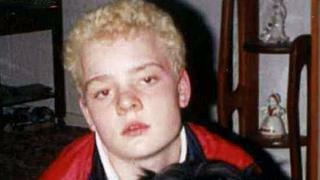 Two girls, then aged 13 and 14, deny murder at Leeds Crown Court. The older girl said she thought people could only die from "cancer, being shot in the head and being stabbed in the heart". The girl, who has admitted manslaughter, described the attack on Ms Wrightson, telling the court the pair of them "stamped on Angie's face", threw a television and printer at her and together picked up a table and "whacked Angie in the face with it, two times". The older girl told the jury the younger girl had "shouted at her and made her do it". She said: "I knew I was going to hurt [Ms Wrightson] and I didn't mean to but I was being told to." The girl described Ms Wrightson as "mumbling" and "having all blood in her face" and "splits in her head". She said she asked the younger girl why Ms Wrightson was mumbling, and she replied it was because "that's what happens when you're dying, you get flashbacks and that". The older girl claimed she told the younger one to call an ambulance but she refused. Instead the pair telephoned the police to collect them and take them home. The girl said she thought about the attack "all the time". She said: "At night I see blood up the walls and my hands go sweaty and I start hurting myself."